Just saw this on the highway: Can anybody explain? Anyone create their own transit system? Is there any chance that we can have an bus roster for buses up to 2008 to see what will be retired? Yes. And we will wait for the demo. Thanks! They will go into service Wednesday and will be returned the following Friday. Grundorf Transportation Authority:	Fleet Roster as of 5/6/17:	Central Division:	Routes: 24, 33, 34, 46*, 60**, 75	Fleet:	2001 Novabus LFS DD40|Allison: 8230-8234	2003 New Flyer D40LF DD50|Allison: 1605-1614	2006 New Flyer C40LF C Gas+|Voith: 1701-1709	2011 Novabus LFS Surburban ISL9|Voith: 1201-1204**	2007 Gillig Advantage 40' ISM|Voith: 1630-1632	2015-2016 Novabus LFS ISL9|ZF: 8090***, 8260-8261	Total Fleet: 31	Surburban Divison:	Routes: 16, 17, 46*, 51, 57, 59**	2001 Novabus LFS DD40|Allison: 8235-8245	2003 New Flyer D40LF DD50|Allison: 1615-1616	2011 Novabus LFS Surburban: 1205-1207**	2012 Gillig Advanage 35/29' ISL|Allison: 5000-5002/7401-7403	2015-2016 Novabus LFS ISL9|ZF: 8091***, 8262-8265	Total Fleet: 26	Grundorf Shuttle Service:	Routes: 15, 21, 32, 76	2001 New Flyer D40LF DD40|Allison (2nd hand): 101-103, 105-107	2001 Novabus LFS DD40|Allison: 8246-8250	2010 Gillig Avantage 35' ISL EPA 07|Allison: 0100-0114	Changes:	-8235 - 8236: Central to Surburban	-1613 - 1614: Surburban to Central	-1630 - 1632: Surburban to Central	-8263 - 8265: Central to Surburban	-103: CTTransit to GSS	News:	-We are putting a RFP for 10 new buses. We will be asking for:	A New Flyer XN35/40 Demo	A Novabus LFS CNG Demo	A Tri-Star TS35/40C Demo (sorry if I got it wrong)	A UTC CXN40 Demo	-The SEPTA LFSA's are now testing on route 75. No problems have been reported. Although I didn't create the system, I did make a little backstory for this and a fleet roster: Grundorf Transportation Authority: Fleet Roster: Central Division: Routes: 24, 33, 34, 46*, 60**, 75 Fleet: 2001 Novabus LFS DD40|Allison: 8230-8236 2003 New Flyer D40LF DD50|Allison: 1605-1612 2006 New Flyer C40LF C Gas+|Voith: 1701-1709 2011 Novabus LFS Surburban ISL9|Voith: 1201-1204** 2015-2016 Novabus LFS ISL9|ZF: 8090***, 8260-8261, 8263-8264 Total Fleet: 31 Surburban Divison: Routes: 16, 17, 46*, 51, 57, 59** 2001 Novabus LFS DD40|Allison: 8237-8245 2003 New Flyer D40LF DD50|Allison: 1613-1616 2007 Gillig Advantage 40' ISM|Voith: 1630-1632 2011 Novabus LFS Surburban: 1205-1207** 2012 Gillig Advanage 35/29' ISL|Allison: 5000-5002/7401-7403 2015-2016 Novabus LFS ISL9|ZF: 8091***, 8262, 8265 Total Fleet: 26 Grundorf Shuttle Service: Routes: 15, 21, 32, 76 2001 New Flyer D40LF DD40|Allison (2nd hand): 101-102, 105-107 2001 Novabus LFS DD40|Allison: 8246-8250 2010 Gillig Avantage 35' ISL EPA 07|Allison: 0100-0114 City/State: Grundorf, NY Started: 1987 GTA ; 2012 GSS Former Fleet: 1985 GM Classic 1987 MCI Classic 1996 Novabus Classic/RTS 2001 Orion V Surburban. 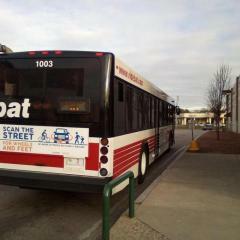 News: Grundorf is to test two LFSA's from SEPTA on route 75. 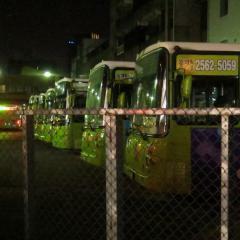 If successful, they will buy 3 Novabus LFSA HEV's. 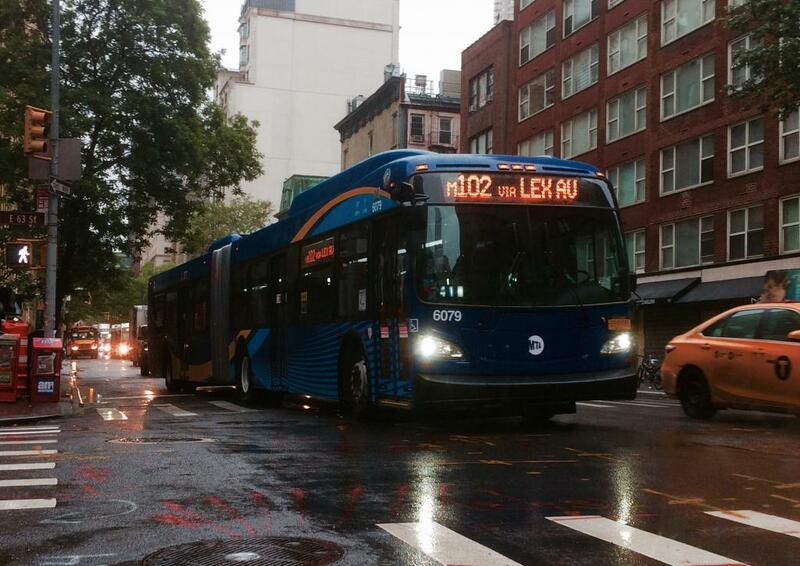 A scene that will never happen again: 2 2003 Orion 7.501 CNG on routes Bx40 and Bx42 at Jerome Avenue and Burnside Avenue. 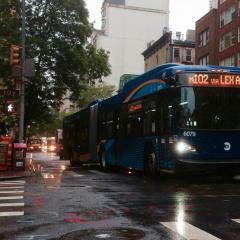 New arrival: 2016 New Flyer XN40 #679 operating on the Bx36 at Tremont Avenue and Jerome Avenue.